Wow, does Richie Kotzen ever stop? He’s already released approximately 23,271 different albums since the late 80s, and he’s just finished a CD of soul music with Ritchie Zito under the band name Wilson Hawk. Here’s a blurb about the collaboration from the new act’s myspace. You can buy the album from the Wilson Hawk myspace. I just saw the line-up for this year’s Byron Bay Bluesfest here in Australia and I almost spat coffee across the room when I saw Zappa Plays Zappa on the bill. It’s also cool to see Sonny Landreth on the bill. But ZAPPA PLAYS ZAPPA! Wooo!!!!! Mrs I Heart Guitar and I are big Zappa fans (I just realised I’m wearing my Mothers Of Invention ‘Freak Out’ shirt right now, as a matter of fact), and we had killer seats when ZPZ played the first of 2 shows in Melbourne in late 2007. 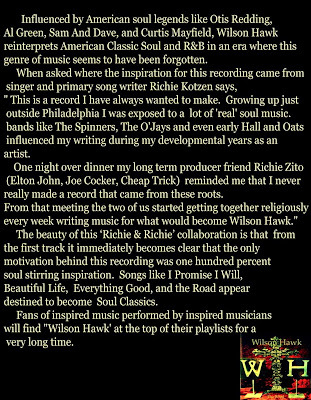 I interviewed Dweezil back then for Mixdown Magazine, and hopefully I’ll get to interview him again before this new tour. I’ll keep you posted on other ZPZ tour dates. Ben Harper and Relentless7, John Butler Trio, Missy Higgins, Michael Franti & Spearhead, Lucinda Williams, Zappa Plays Zappa, Angelique Kidjo, Tinariwen, Eric Bibb, Seasick Steve, Tony Joe White, Ruthie Foster, Blind Boys Of Alabama, Drive-By Truckers, Toni Childs, Ayo, Luka Bloom, Alpha Blondy, The Easy Allstars, Special Beat, Watermelon Slim & The Workers, The Easy All Stars, Special Beat, Augie March, Alabama, Blue King Brown, Saltwater Band, Sonny Landreth, Big Bad Voodoo Daddy, Hot Club of Cowtown, Eugene Hideaway Bridges, The Bamboos, Watussi, Lowrider, Nu Yorican Nights, Benny Gallagher, Bob Log III., Lowrider, Nu Yorican Nights. The 20th anniversey of Bluesfest will take place at Belongil Fields in Byron Bay between Thursday April 9 to Monday April 13, 2009 over the Easter long weekend. CLICK HERE to search eBay for Frank Zappa stuff. In a last minute scramble to add just one more price point in time for Winter NAMM ’09 in Anaheim, Fender has decided to follow its new MIM Road Worn Series with a Squier Relic treatment. This newest Squier RUG BURN Series will incorporate the ever popular aging & distressing features into the Indonesian produced Squier line of guitars & basses, to be priced at a mid point between the standard Squier line and the Standard Baja manufactured products. Each RUG BURN Series instrument begins as a standard finished Squier model, which is then placed into “the tumbler”; a large rotating drum– similar to a concrete mixer, which is lined with Dupont Stainmaster berber style carpeting. During the tumbling process thousands of walnuts are introduced along with dried mustard for age tinting. After leaving the tumbler, the guitar is then “dusted” off with high pressure air & Kool Menthol unfiltered tobacco jets, after which the strings are finally added. Then each Rug Burn Series model is prepared for shipping in its own Dupont Stainmaster berber style carpet lined gig bag along with a Dupont Stainmaster berber style carpet strap. Both the gig bag and strap are designed to help maintain the freshness of your RUG BURN Series instrument’s finish for many years to come. Watch for the RUG BURN Series! And remember, it’s not a Squier Rug Burn unless it has the, “RUG BURN Series” sticker on the pickguard. So take one for test tumble soon at your nearest Fender dealer and you might just walk out with a Rug Burn of your very own! This is a guest post by JP from Stratoblogster – a very cool site with lots of great content, Stratty and otherwise. Go check it out! Here are some stories to get you started. Be a Relic guitar player! Fender’s bringing back the Ritchie Blackmore Stratocaster in 2009. Do ya think Yngwie will pick a couple up? This sort of thing is right up his alley: scalloped fretboard, white finish, unused middle pickup. The specs include a maple neck with a graduated scalloped rosewood fretboard, Seymour Duncan Quarter Pound Flat pickups, and ’70s-style “F” tuners. Deluxe gig bag included. If you can’t wait until NAMM for them to be released, there’s a 1997 Ritchie Blackmore Strat on eBay at the moment. By the way, anyone else heard the rumours that David Coverdale, Glenn Hughes, Jon Lord and Ritchie Blackmore have had informal chats about a reunion tour for Deep Purple Mk III? It seems Eric Johnson isn’t content with designing one of the best Strat variations ever (by my humble opinion) in his namesake Fender model. He’s gone and done it again. While the first model was somewhat 50s-inspired, this new one takes a few cues from 60s Strats, at least in terms of the 3-ply pickguard and rosewood fretboard. Colour options are Dakota Red, Tropical Turquoise, Medium Palomino Metallic and Lucerne Aqua Firemist. Most of the other features are similar to the existing model: Extra Smooth Neck to Headstock Volute, Special Neckplate with Engraved EJ and Kokopelli, 1957 Style Body Cavities, Countersunk Holes in Pickguard for Pickup Mounting Screws, Pearloid Dot Inlay Position Markers, Height Staggered Vintage Style Tuners which Eliminate the Need for String Trees, Vintage Tremolo with Silver Painted Block and ‘57 Style String Recess (No Paint Between Base Plate and Block), 3-Ply 8-Hole Parchment Pickguard, 5 Tremolo Springs and No Back Tremolo Cover Plate. CLICK HERE to buy the Fender Eric Johnson Stratocaster (original maple fretboard version). CLICK HERE to see Fender Eric Johnson Stratocasters on eBay.